← San Lorenzo Mountain Lodge: a unique and luxurious refuge in the Alps, combined in a natural mountain setting and wellness. 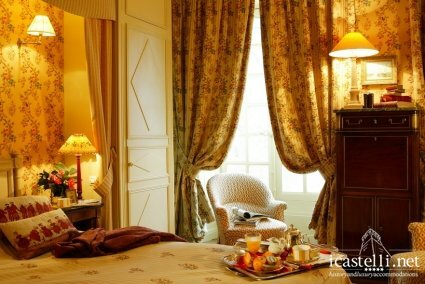 If you are fond of ancient and evocative atmospheres, sleeping in a castle is certainly an original and exciting experience, which stimulates the imagination and can be an opportunity to celebrate an anniversary, to be a fairy tale protagonist, to immerse yourself in history without forgetting the modern comforts or to have the impression to wake up in the past. Many people choose Scotland as a destination for an unforgettable honeymoon or a romantic holiday, or Ireland, France and Italy, which is rich in luxury restaured castles, such as the Dal Pozzo Castle, on Maggiore Lake, with poster beds and marble bathrooms, renovated with elegance and located in a beautiful park with a view of the lake, which characterizes the idyllic landscape. In another fairytale landscape, on a private island, on the Suir River, the Waterford Castle rises in the south of Ireland. It is a beautiful thirteenth-century castle offering original rooms with antique furniture and paintings and a magnificent view of the surrounding Irish countryside. 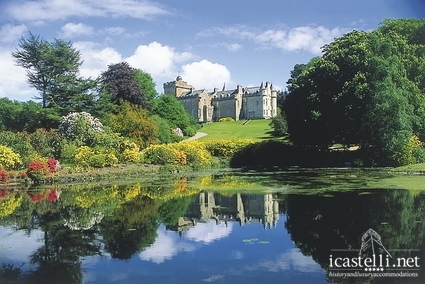 If you want to spend a special night, lulled by comfort and charm, then you can decide to stay in one of the many beautiful castles in Scotland, which is rich in history and legends, such as the Glenapp Castle, a baronial castle that seems to come straight out of a storybook, the perfect example of a Scottish castle situated in a natural and uncontaminated setting . It also offers high standards of quality and service, as well as a extraordinary cuisine made up for elite guests. Finally we arrive to France, to the Château des Briottières, one of the finest private castles in the heart of the Loire Valley, where you could appreciate the luxury, prestige and quietness. It is situated near Brittany and Normandy and it is the ideal starting point for visiting the Chateaux of the Loire, as well as symbols of French pride, heritage and prestige. This entry was posted in Historic and Luxury Castles, icastelli.net news and tagged castelli francia, castelli in scozia, castelli irlanda, castelli Italia, castelli lago maggiore, castelli loira, castello dal pozzo, chateau des briottières, dormire nei castelli, glenapp castle, sleeping in a castle, waterford castle. Bookmark the permalink.